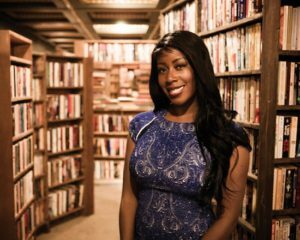 At Greater Good Realty, we care about what happens in our community and would like to keep you updated with special events! Here are some special events happening in San Diego for the Month of February. Explore the beauty and mystery of our winged neighbors in this 3rd Annual art exhibition celebrating the crow. The exhibition seeks to represent the many faces of the crow in folklore and reality. Be educated, illuminated, and entertained by an array of films that depict elements of the Jewish life, history, and culture in challenging, moving, and humorous ways. SDJFF will also feature guest actors, filmmakers, and scholars who will introduce their work in audience discussions and meet-and-greet events. 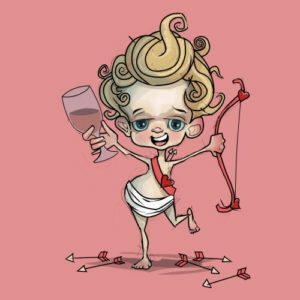 Sample a large selection of champagnes, wines, beers and spirits, and pair many of these Valentine favorites with some tasty sweets. The event will also offer some amazing raffle and door prizes. All donations benefit the Hearts for San Diego nonprofit organization. Start the party with a run along a scenic waterfront course to the tunes of a Jazz band. Then, indulge in all the festivities when you reach the finish line! The Mardi Gras Run is a party for all ages, filled with Jazz, carnival masks, New Orleans cuisine, and bright colors everywhere you look! Refer to website for registration. Celebrate Valentine’s Day with your loved ones on beautiful San Diego Bay. Bring mom, dad, grandparents, kids, a best friend, and your significant other and share this day of love with those you care about! 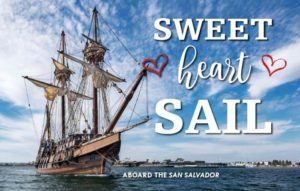 Your sailing adventure will be aboard the San Salvador for a three-hour scenic tour of the bay, marine wildlife and local attractions. You’ll also receive champagne, treats, and a souvenir gift. Join your friends and neighbors to welcome the Year of the Rooster! The fair will be filled with spectacular dance and cultural performances, as well as tantalizing street food that you might find at a lively Chinese night market. This is a free event. Spend a romantic evening with your Valentine… enjoying a night of murder and mayhem! This Valentine’s Day performance includes a champagne toast, three course meal, and two hours of fun! Enjoy Mystery Café Dinner Theater’s brand new hilarious mystery: I Do, Now DIE! Refer to website for tickets. zling and original voice set against a rich and transporting historical backdrop. Sample amazing brews from over 30 breweries throughout the night while listening to great live music from Elektric Voo doo! 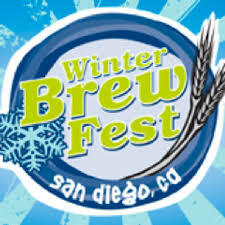 The San Diego Winter Brew Fest will feature craft beverages from around California and beyond as well as live local music, food, and other vendors. The event will benefit Outdoor Outreach and the San Diego Mountain Biking Association (SDMBA). Ages 21+ only. Join the Hope2gether Foundation for a fun and delicious evening at The Taste of Hope fundraising event! Enjoy local food, wine, and beer tastings, live music, and a silent auction. Proceeds from this event will go towards education and advocacy for reducing drug addiction and overdoses in San Diego County. Walk or run to help bring health, hope, and happiness to children impacted by the #1 birth defect in the United States: congenital heart defects. The Jump Start Your Heart 5K will benefit the Children’s Heart Foundation, which funds the most promising research to advance the diagnosis, treatment, and prevention of congenital heart defects. The course will follow the beautiful Mission Bay boardwalk along the waterfront. Refer to website for registration. Celebrate with over 20,000 revelers at one of the biggest Mardi Gras parade festivals West of New Orleans! 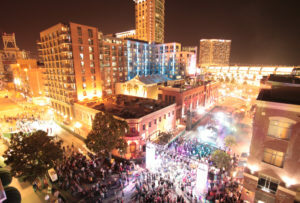 San Diego’s nationally recognized Mardi Gras celebration will bring over-the-top floats, live music, experiential entertainment, DJs, beads, and vivacious energy to San Diego’s historic Gaslamp Quarter. Be sure to catch the huge finale of the parade as the spectacular final float parks and becomes the roaring stage for the rest of the night. Refer to website for tickets.